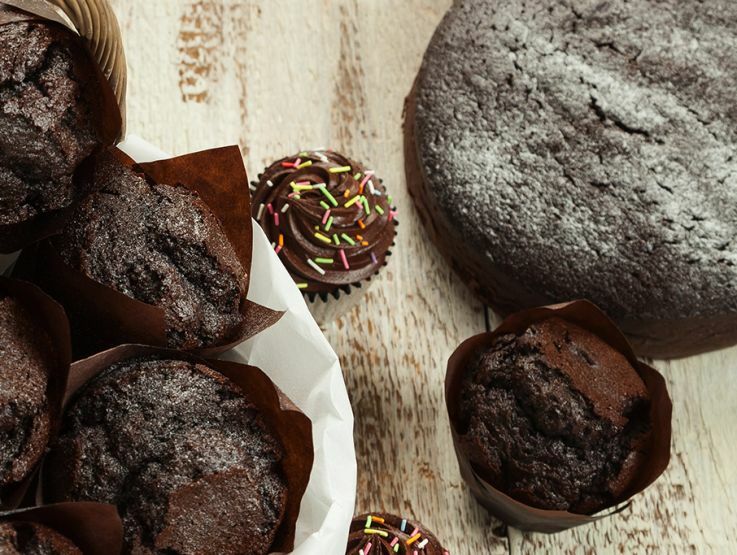 A multi-purpose rich Chocolate Cake mix which is versatile and easy to use. It can be used to create cupcakes, sheet lines, loaf cakes, muffins and much more. Sugar, Wheat Flour (Wheat Flour, Calcium Carbonate, Iron, Niacin, Thiamin), Fat Reduced Cocoa Powder (7%), Dried Glucose Syrup, Rapeseed Oil, Modified Maize Starch, Whey Powder (Milk), Raising Agents: Sodium Acid Pyrophosphate, Sodium Bicarbonate; Potato Starch, Wheat Protein, Emulsifiers: Sodium Stearoyl-2-lactylate, Mono- and Diglycerides of Fatty Acids, Polyglycerol Esters of Fatty Acids; Rice Starch, Stabilisers: Carboxymethyl Cellulose, Guar Gum; Flavouring.